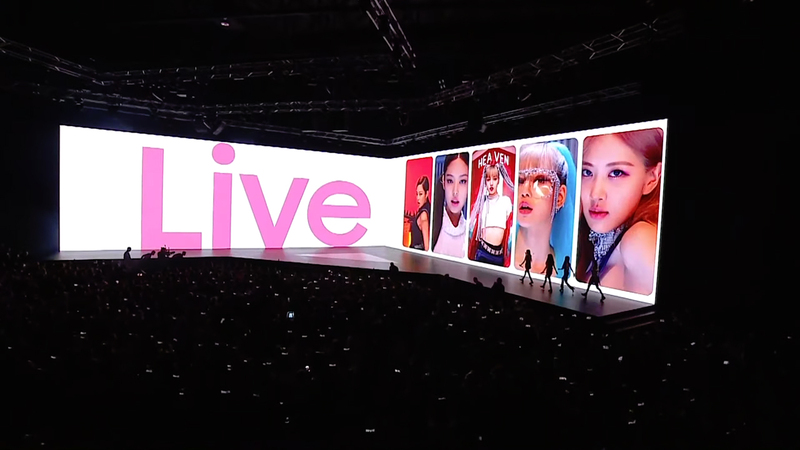 Reach a whole new level of Livestreaming as Samsung hits us with ddu-du ddu-du du! 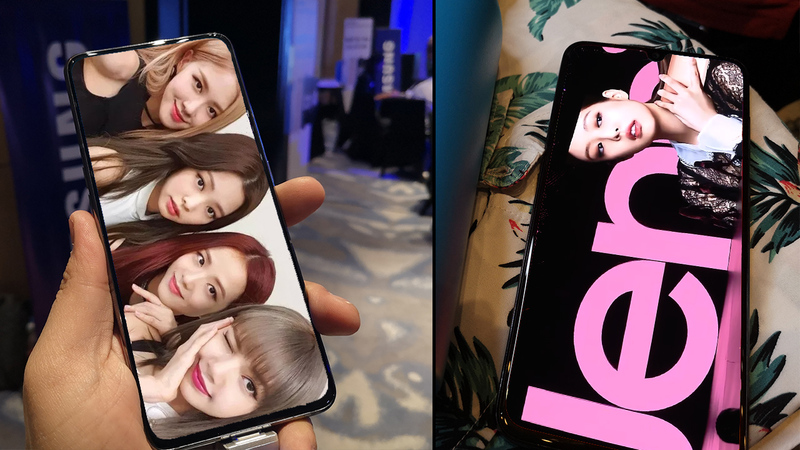 BlackPink performs at the Samsung Galaxy A70 and A80 Event at Bangkok! This baby recognizes that livestream content is shot with BOTH your front and your rear camera and it’s definitely ideal that quality doesn’t suffer between the two. The answer? A ROTATING CAMERA! Basically, the 3 cameras found at the rear of the phone flips towards the front when you’re doing a selfie picture / video! This means that the 48MP, F2.0 camera is usable for either purpose. The ultra wide function is even at your beck and call even on selfie mode! Also, the Super Steady function that allows for stable footage even without the use of a stabilizer which is a GOD SEND (if you’re a content creator, you know how useful this function is). If you wanna deliver quality content for any of your livestreams, IG/FB Stories, etc., then this phone is for you! Another thing that this rotating camera affords users is the fact that you now have so much screen to use. No more notches. Just all the screen real estate you need – whether it’s for consuming content or for interacting with chat during your lives. 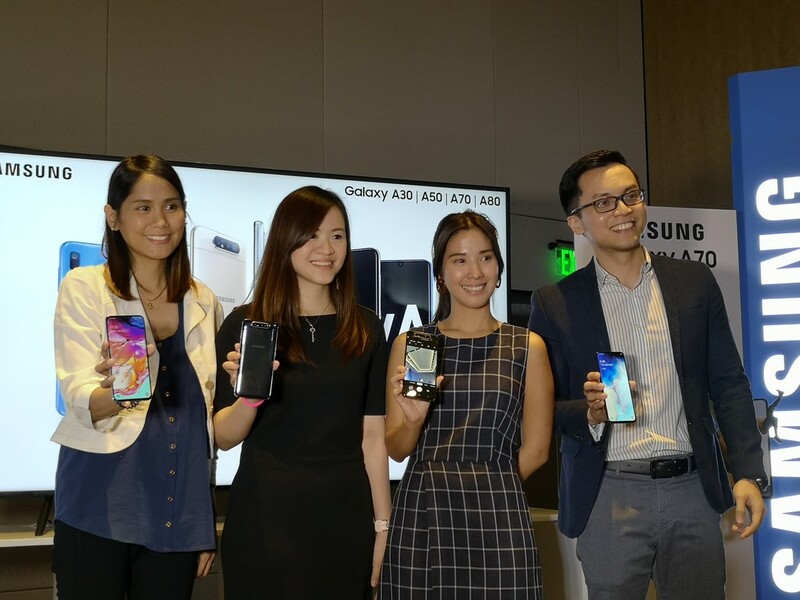 The Samsung Galaxy A80 will be available on May 29, 2019 in Angel Gold and Phantom Black. Price has yet to be announced. Staying power is a very important factor for livestreaming. Content creators will now that, especially for events, the amount of content you can make can just be so staggering that the issue now is whether your device can keep up or not. 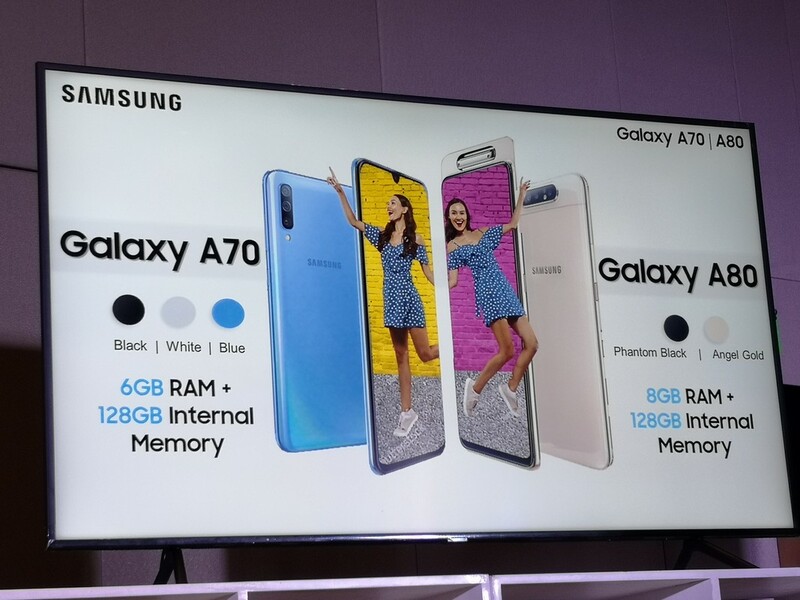 This is where the Samsung Galaxy A70 comes in. This beast of a device has a 4,500 mAh battery that will give you so much uptime with your livestreams. Finally reached low battery? No worries! Just plug in your phone for a bit because the Samsung Galaxy A70 has a 25W Super-Fast Charging Feature and you’ll be back online in a heartbeat to continue shooting lovely bits of content using your 32MP, F1.9 Rear Camera / 32MP, F2.2 Front Camera! The Samsung Galaxy A70 will be available on April 26, 2019 in Black, Blue, and White. Price has yet to be announced.